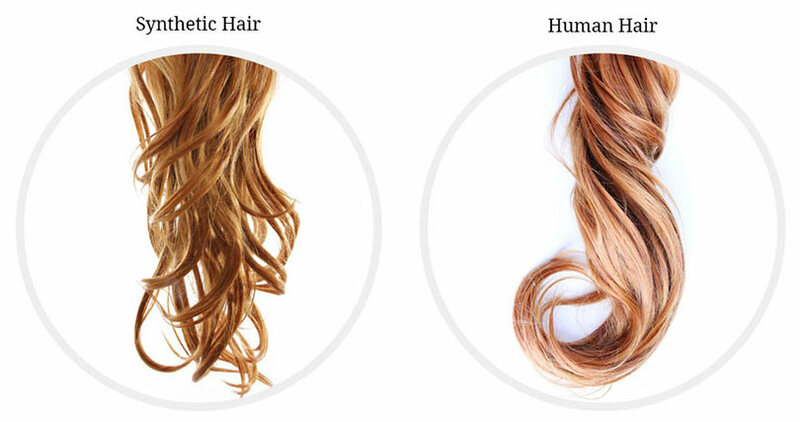 Human Hair offers the most natural look and feel. It is remarkably soft with a shine and movement that is not easily duplicated in synthetic hair. It is also extremely versatile. Human Hair can be cut and styled to suit your personal tastes. And while it can be a more expensive pick, with the proper care, it is also more durable and can last over a year. The origin of the hair is not the only factor, however. Processing technique is directly related to the strength and quality of the end-product. The chemicals needed, to sanitize and strip away the original color to produce different curl patterns and colors, are very strong and can affect the integrity of the hair depending on method used. When a higher quality of chemicals and a more artful approach to processing is used, the results are higher quality product and thus higher price. It is extremely important to use care products specifically formulated for highly processed human hair. Also keep in mind that wearable hair does not benefit from naturally occurring oils from the scalp. It is important to hydrate and condition hair daily. Human hair is by far the superior choice if quality is the only factor. Other than price, the main drawback to human hair is required maintenance -- as with natural hair, it requires effort. For many, daily styling is actually preferable as it allows for more control over the appearance as well as a sense of normalcy that can come with the daily hair styling ritual.Keep in mind that human hair does not come out of the box ready to wear. You may choose to have it customized by a professional stylist to get exactly the look you like. It does take a bit of extra effort… but is worth it! The limited versatility of synthetic hair becomes less of a consideration when you factor in the affordability. You may choose to have a wide variety of styles on hand and ready to wear!